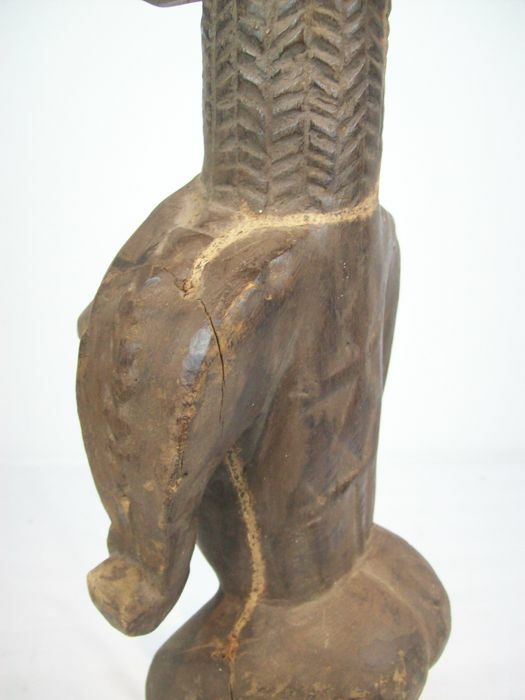 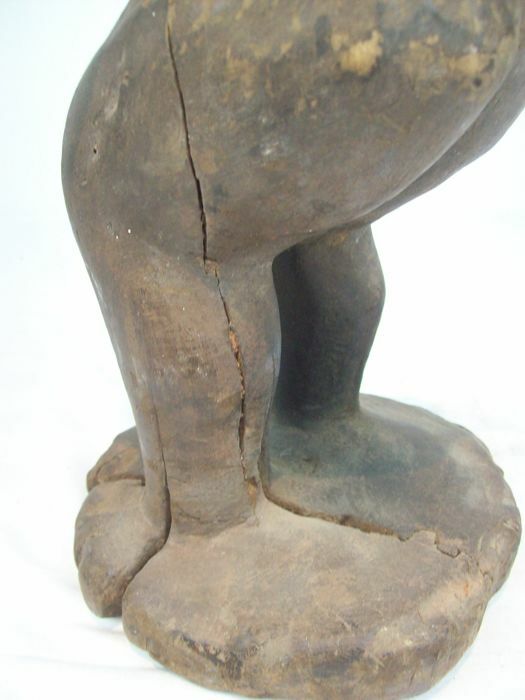 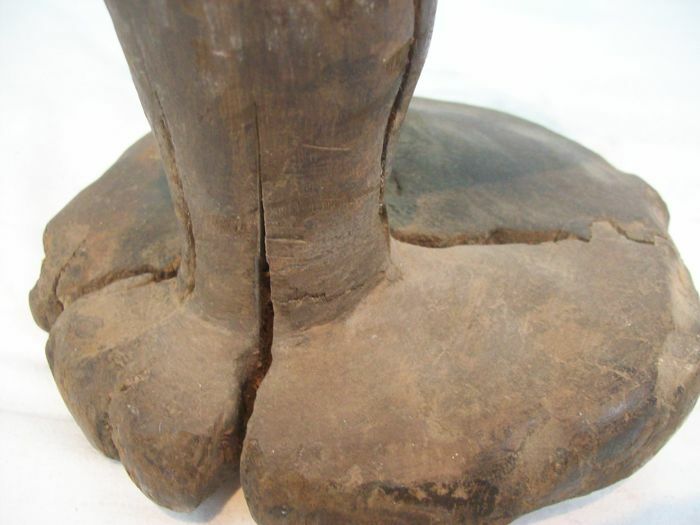 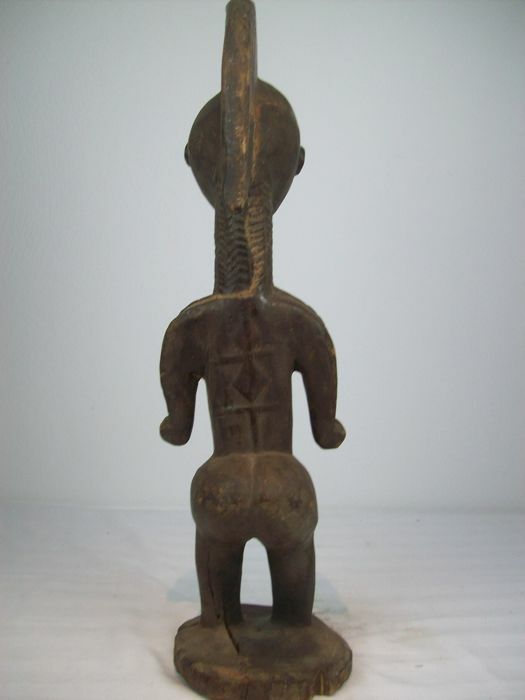 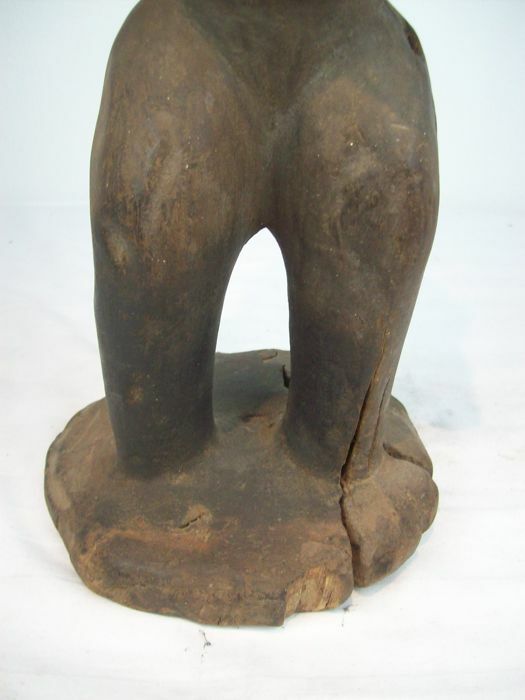 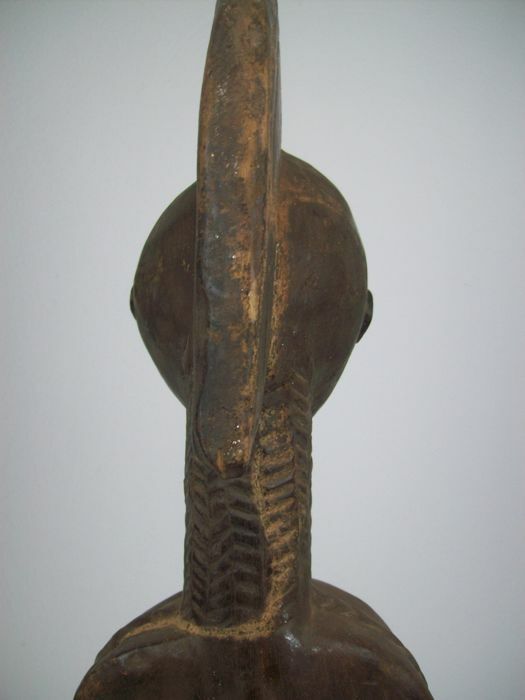 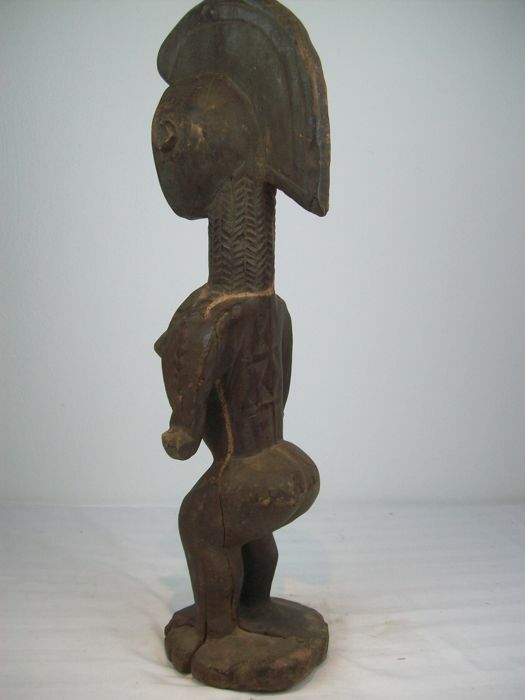 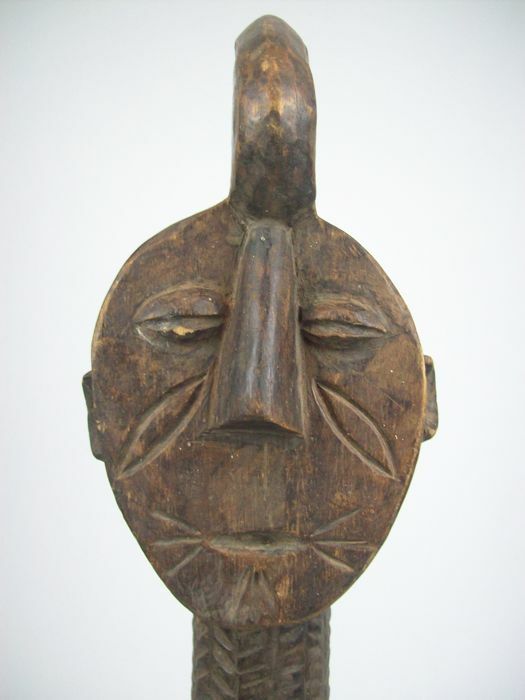 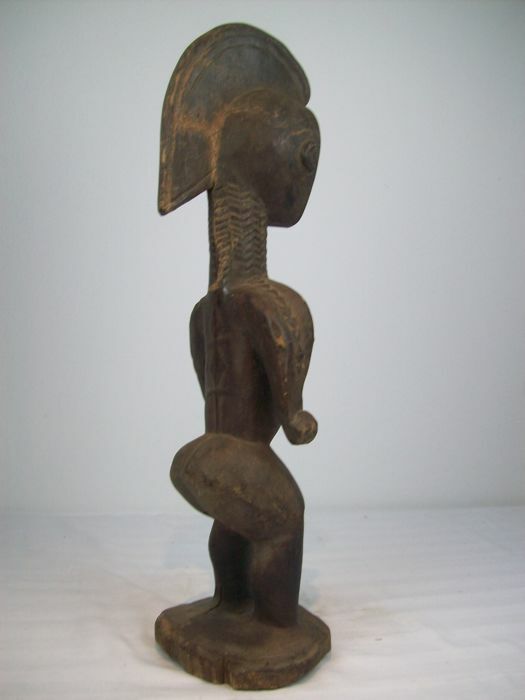 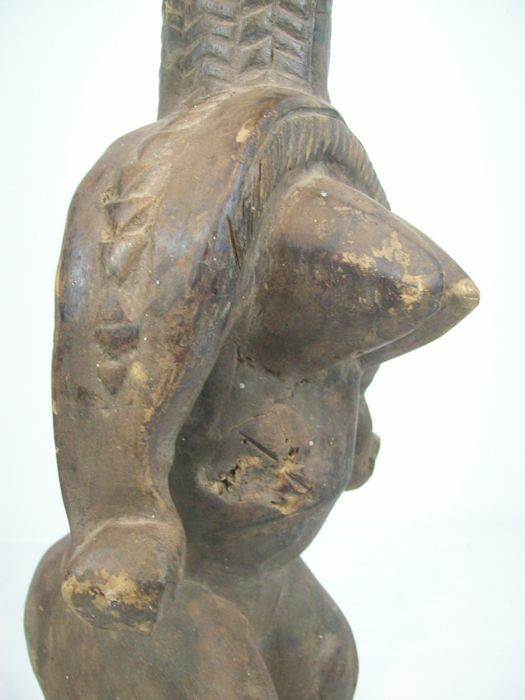 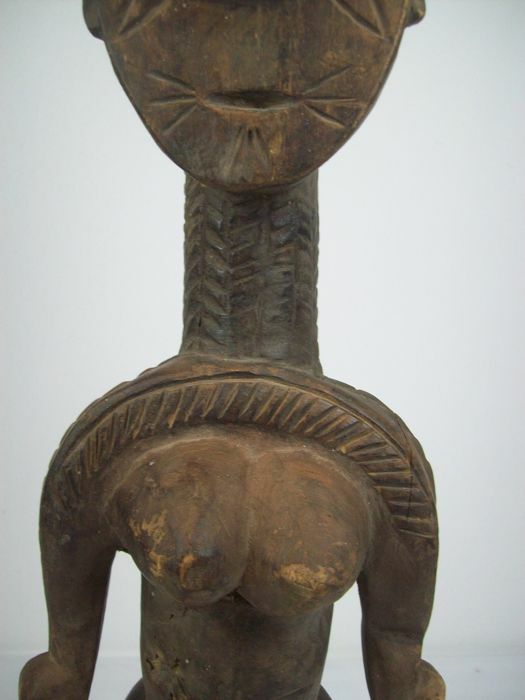 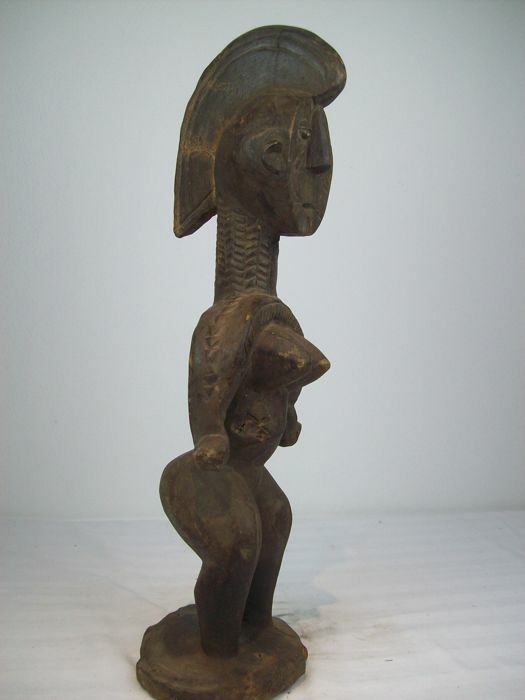 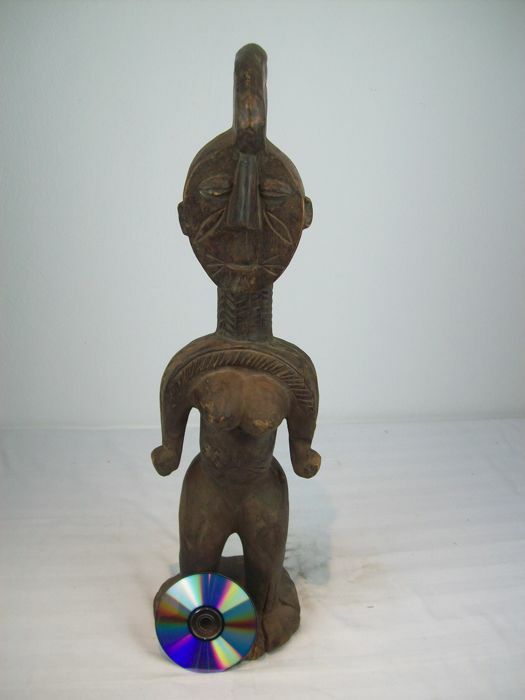 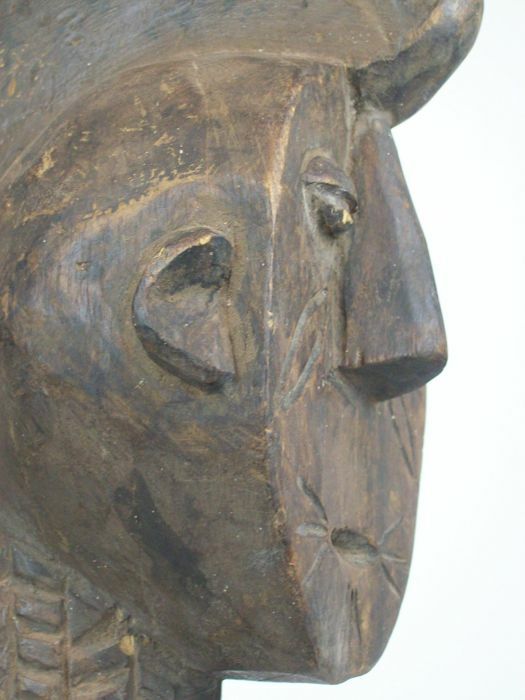 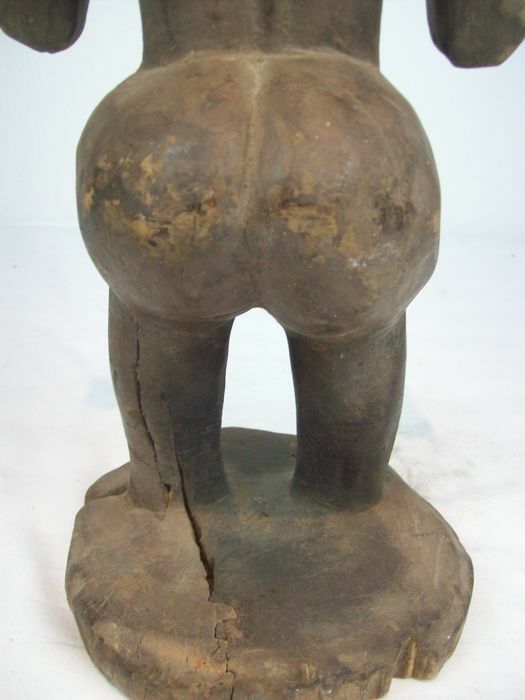 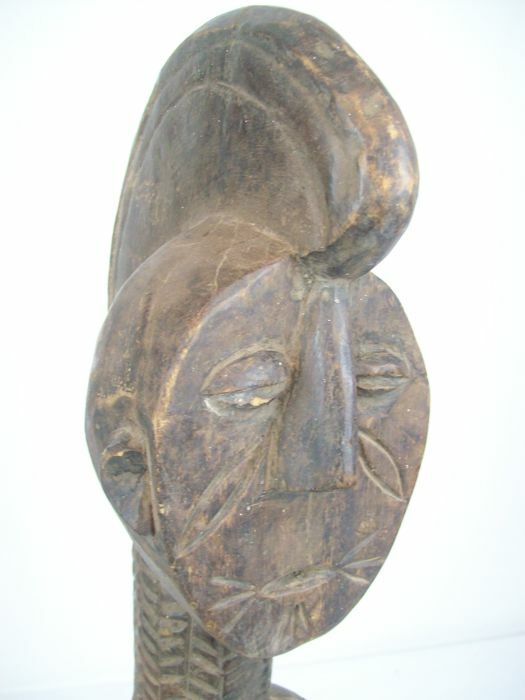 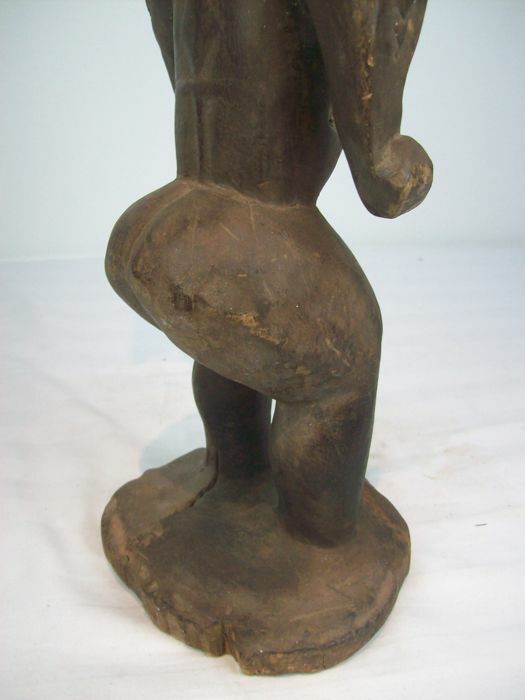 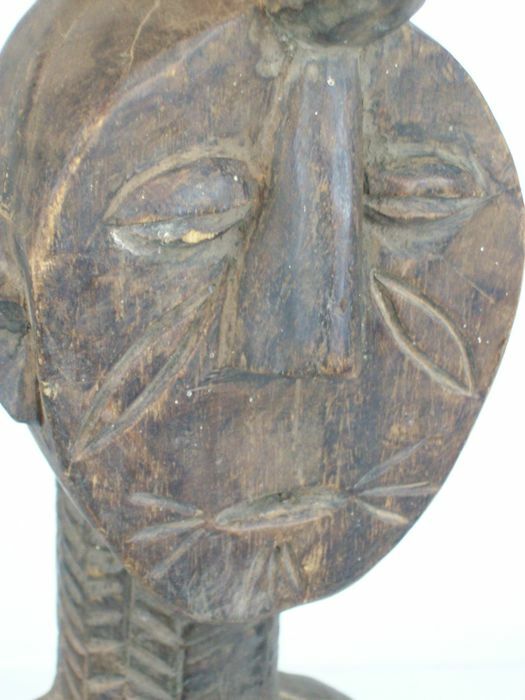 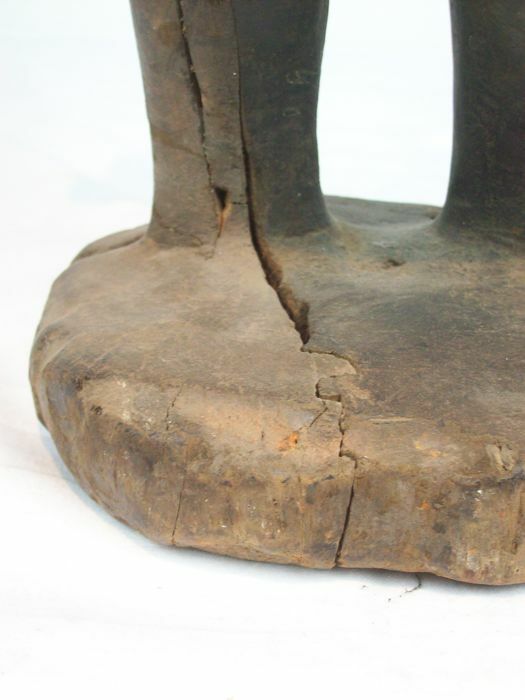 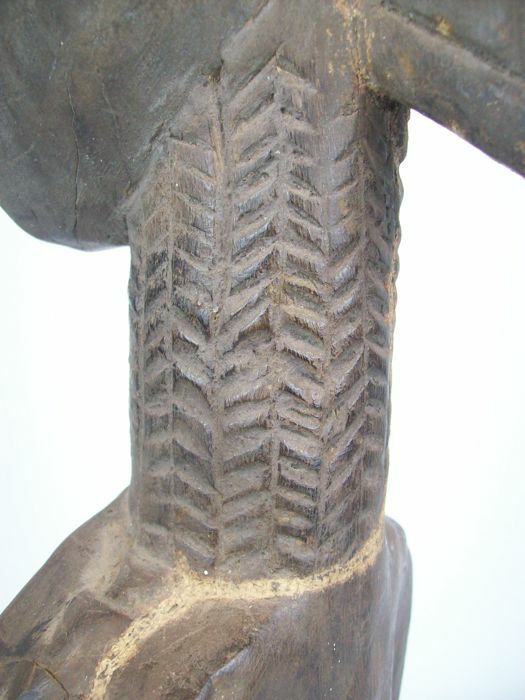 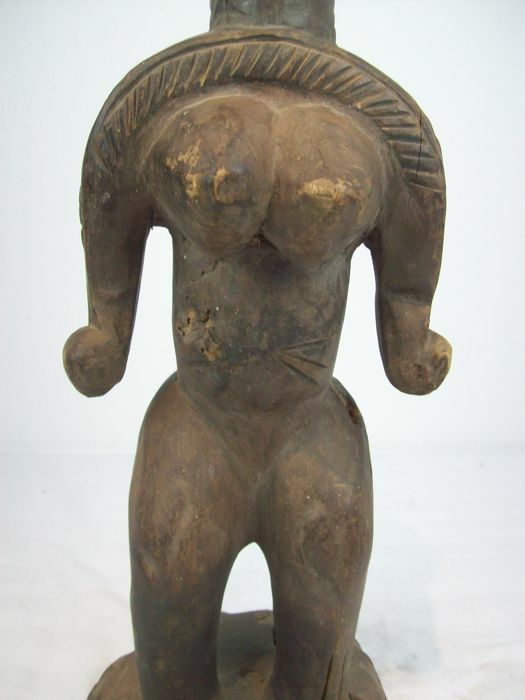 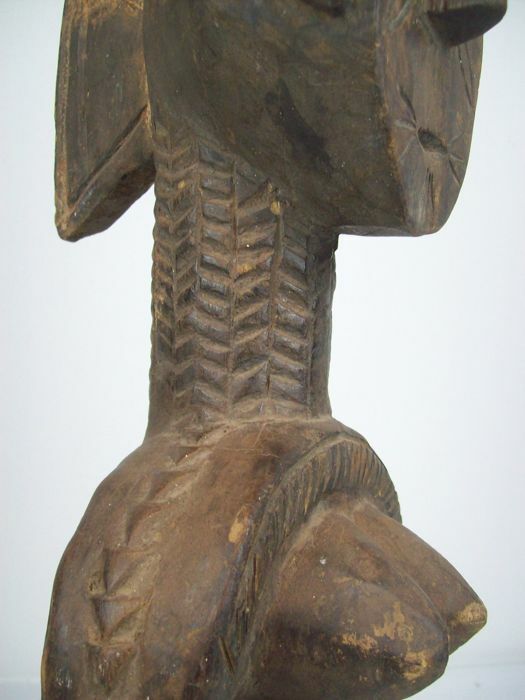 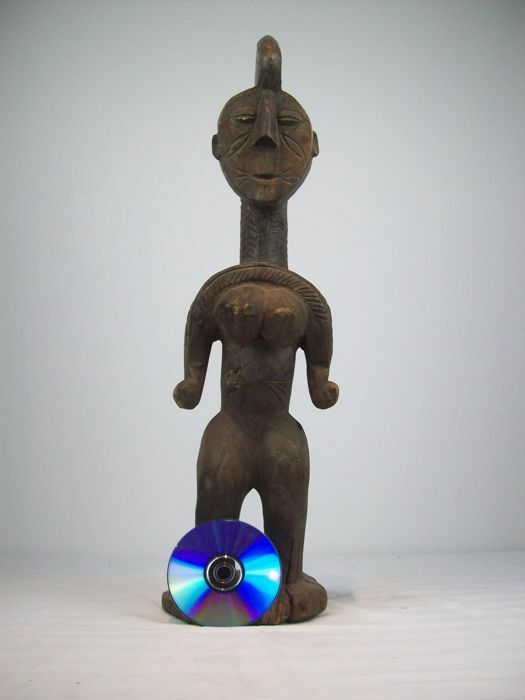 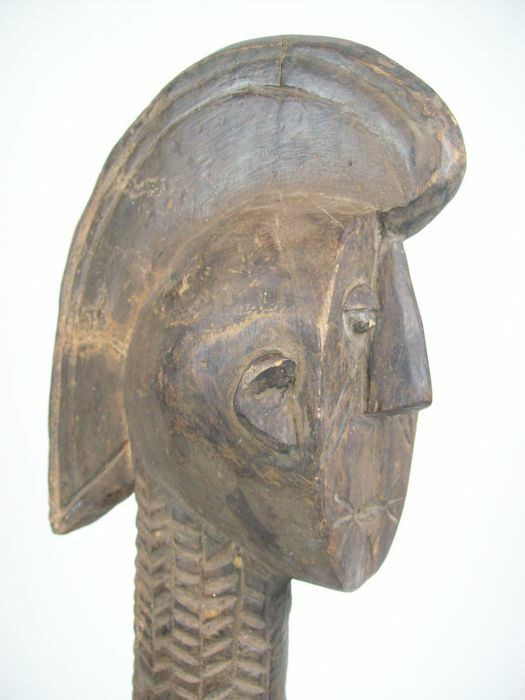 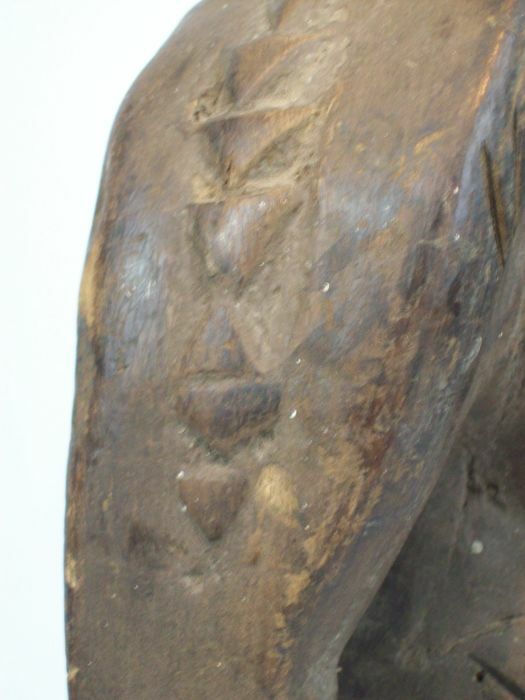 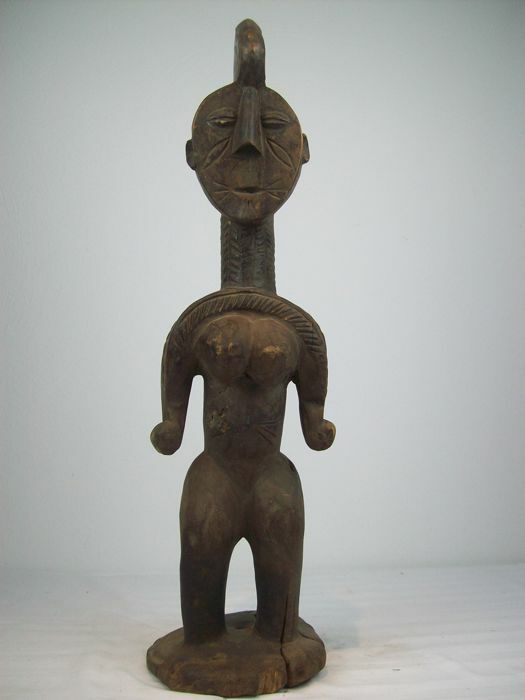 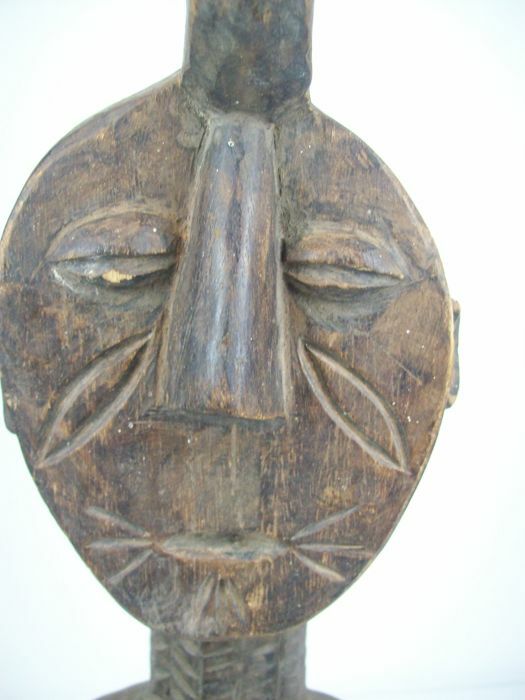 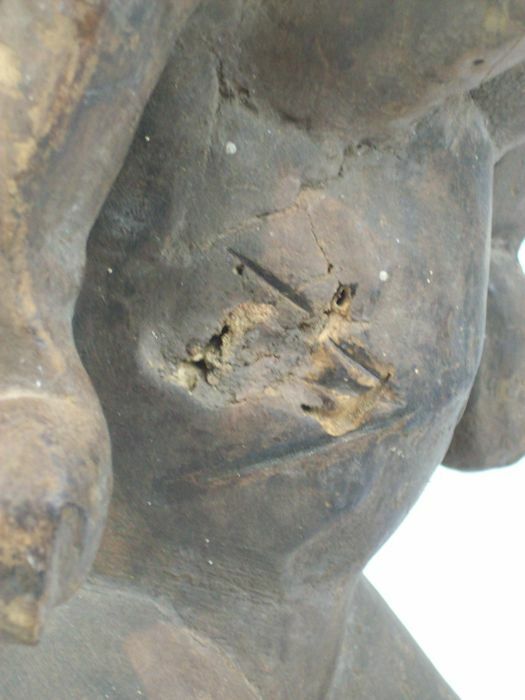 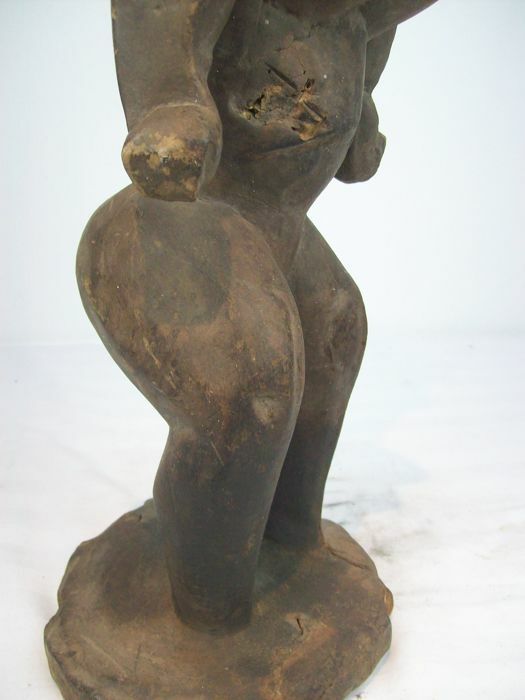 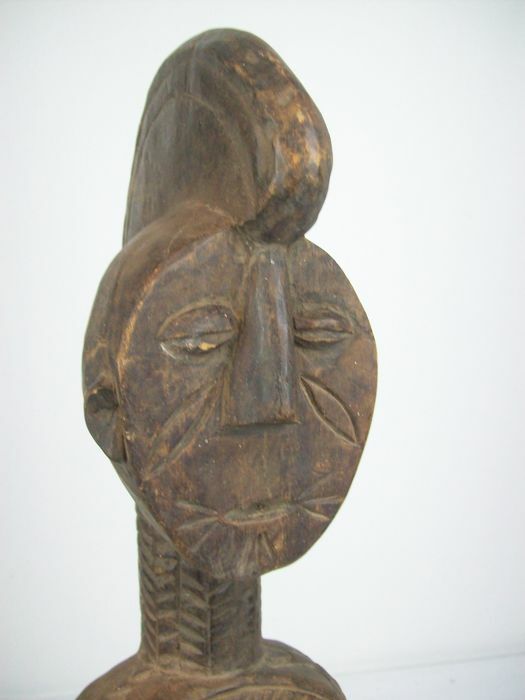 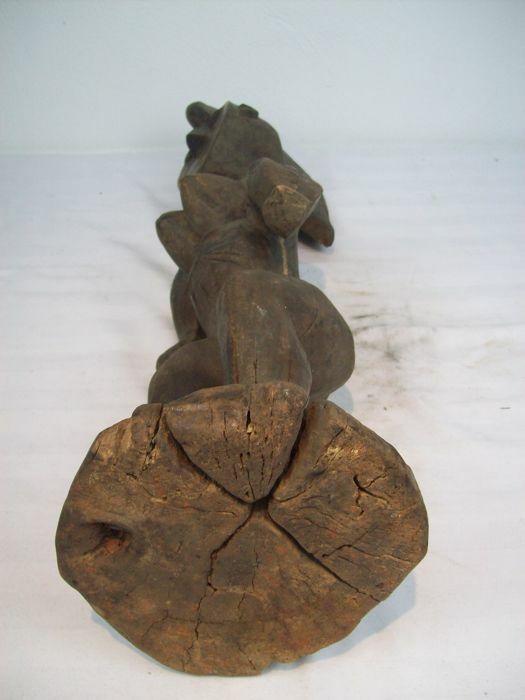 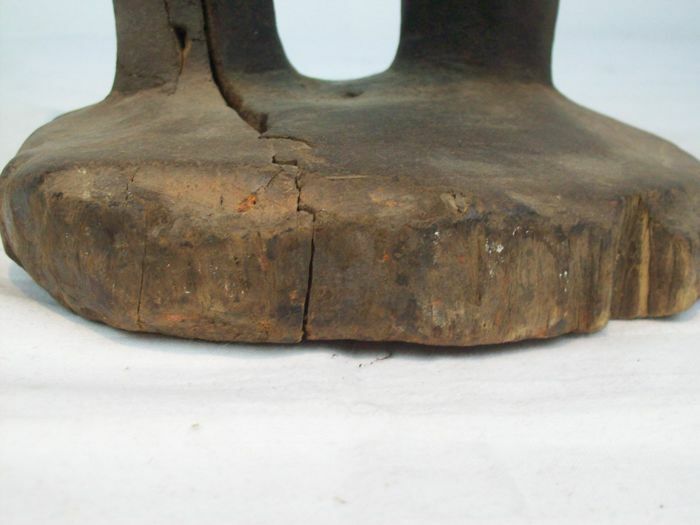 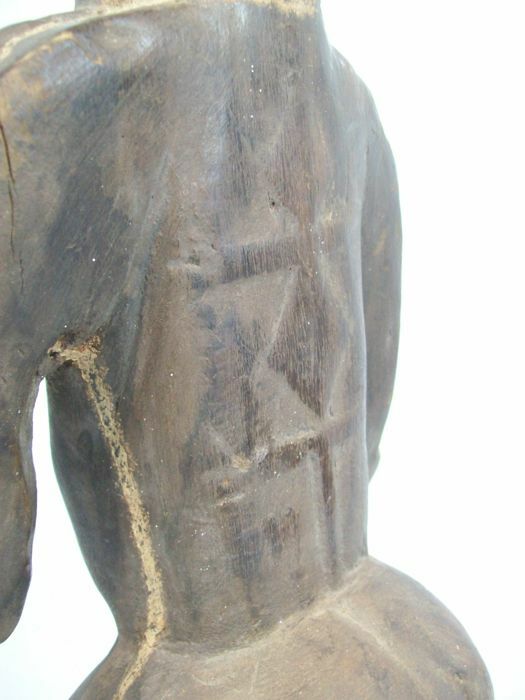 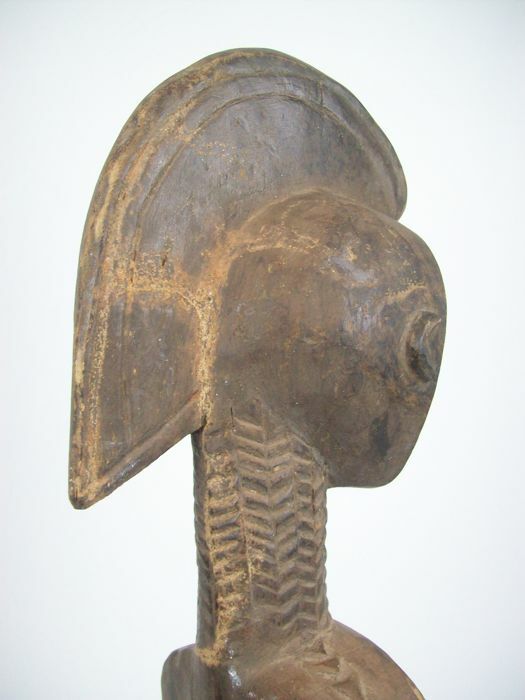 This is a female Koro figure from northern Nigeria. 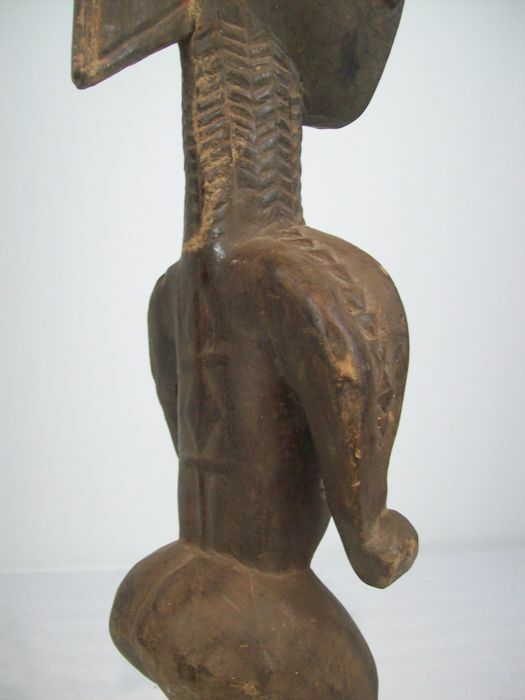 Typical crested hairstyle, and a flat face covered in scars. 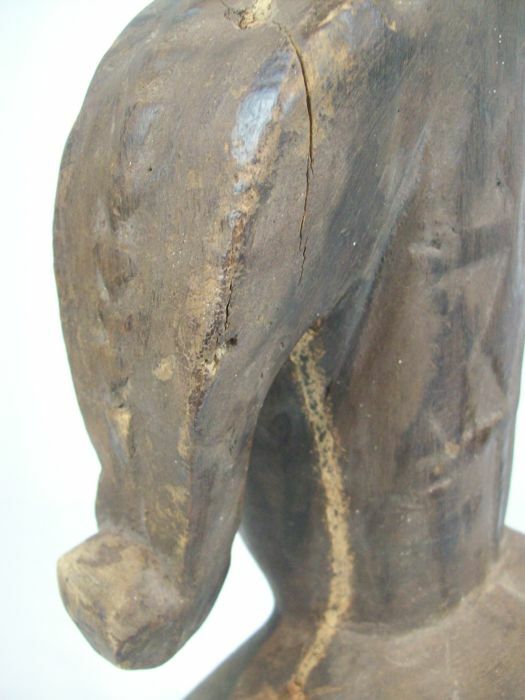 Carved from one piece of hardwood. 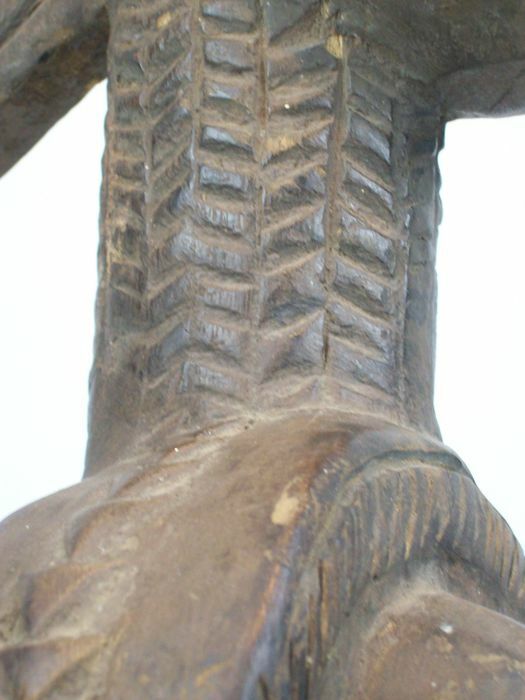 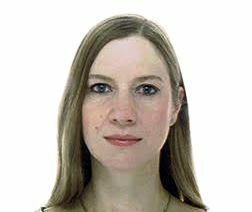 On the head of the woman is a high, crested hairstyle. 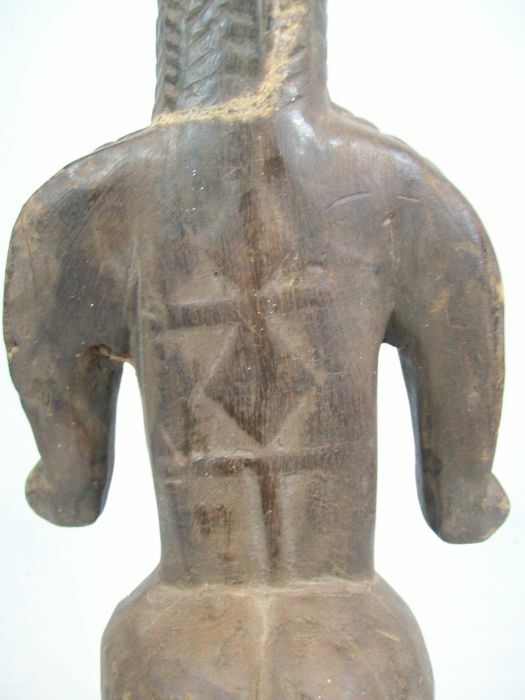 a linear band in relief runs diagonally across the chest. 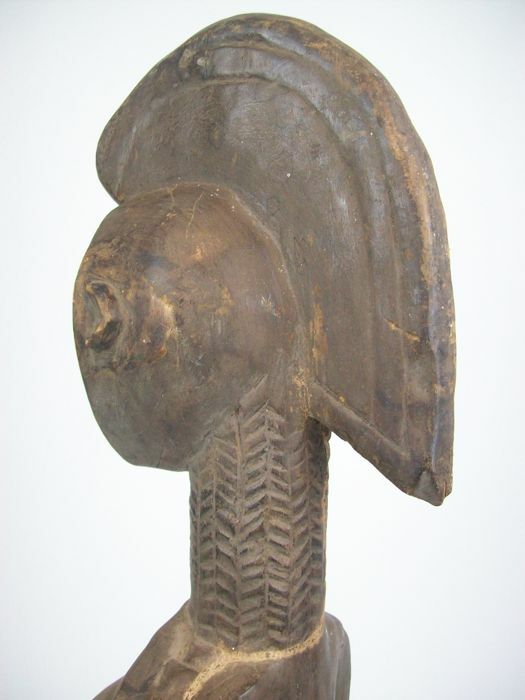 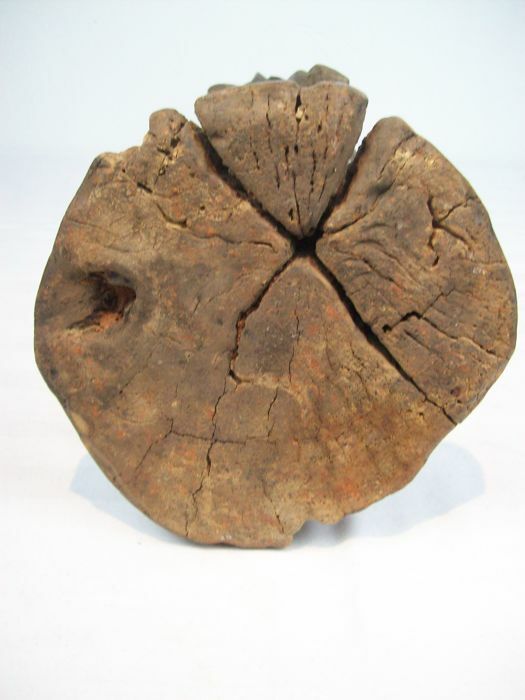 A rare object with a good, old patina from use. 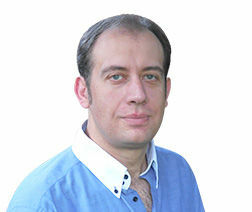 Shipping: insured shipping via DHL with tracking number.